OTC PR Group provides a full suite of public relations services utilizing the latest technologies coupled with relationship building processes to develop and maintain interest from your shareholder base. Small Cap Public Relations is our speciality. We work to build shareholder value by engaging with key-stakeholders and effectively following up and communicating your message, investment potential and corporate vision to investors, Brokers and the media. We help company’s structure and communicate their message to Wall Street through a combination of old school practices and the latest media and marketing methods. Having extensive experience as past stock brokers in the early eighties, the principles of OTC PR Group are equipped to approach analysts, brokers and portfolio managers in the language they understand. We communicate directly with investment professionals understanding their goals, attention, and the type of companies they look for. Public relations is all about grabbing attention and creating an audience. OTC PR Group networks with only the “Top Rated” service providers and advertising partners, which include newsletter publishers, social media specialist, editors, analysts, research writers, and radio talk show personalities, are utilized in our corporate outreach visibility programs. Working closely with our clients and professional network partners, OTC PR can create and implement marketing and advertising programs that deliver high impact exposure campaigns. OTC PR Group combines public relations, investor relations and media relations into a powerful networking tool. We are an experienced firm with the financial knowledge as well as high familiarity and understanding of the investment community. Through our networks of dedicated and creative professionals, we provide a comprehensive social media marketing strategy that benefits our clients and their investors. 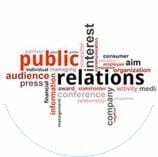 We have more than 20 years of experience helping clients navigate a wide range of public relations issues. Our approach to investor relations delivers action orientated results for our clients including new business contacts, ideas and exposure that can save time and money while delivering the right outcomes. Properly executed investor relations can help companies develop and maintain market value. Working with our experienced team at OTC PR Group allows client companies to achieve solid and positive results from their IR initiatives. Additionally, we can help clients avoid the many challenges of developing and maximizing a strong investor base. OTC PR Group provides a full suite of public relation services utilizing the latest technologies coupled with relationship building processes to develop and maintain interest from your shareholder base. We work to build shareholder value by engaging with key-stakeholders and effectively following up and communicating your message, investment potential and corporate vision to investors, Brokers and the media. We help company’s structure and communicate their public relations message to Wall Street through a combination of old school practices and the latest media and marketing methods. Having extensive experience as past stock brokers in the early eighties, the principles of OTC PR Group are equipped to approach analysts, brokers and portfolio managers in the language they understand. We communicate directly with investment professionals understanding their goals, attention, and the type of companies they look for. We strive to find stories that resonate well with our networks and with our direct communication practices our clients get their attention. Investment professionals such as: stockbrokers, registered investment advisors (RIAs), certified financial planners (CFPs) don’t have the time to research the thousands of OTC companies that currently trade. If you don’t have an experienced professional speaking with them directly about your story, they will never know you exist. Our old school approach works because we have deep long-term relationships with investment professionals, we understand what sparks their interests and the type of companies they are willing to get behind. 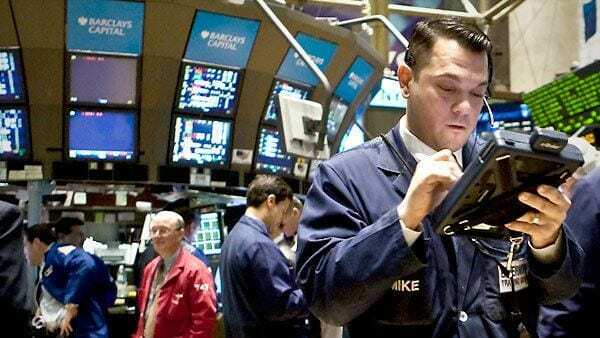 We also have long-term relationships with many financial institutions such as hedge funds and other institutional investment funds that can take market-moving positions in a stock. Our approach is centered around properly educating Investment professionals and cultivating trust in order to uphold and protect management’s long-term credibility and reputation on Wall Street. Our company was founded on a strategic and professional approach to corporate relations that builds awareness of our clients through tailored outreach programs that target institutional investors, analysts and the financial media. The OTC PR Group model employs a variety of conventional and non-conventional programs and tools to communicate your company’s story and increase your exposure in the small-cap equity markets. We pride ourselves on the honest and unfiltered feedback we gather from the brokerage community and we use this feedback to constantly evolve the messaging. We are committed to providing strategic public relations and advertising that result in high-impact campaigns to build and maximize brands and corporate reputations. OTC PR Group founders utilize our years of experience in managing awareness campaigns. We understand that increasing brand and investor recognition, as well as broker awareness through network marketing, can be an extremely daunting task. Having a properly coordinated marketing plan can provide a positive impact and accelerate trading activity, brand and investor awareness. OTC PR Group excels in providing you with the proper network media outlets because of the screening process we put list network owners through. This allows us to avoid the mistakes many people make and be sure that your news and story sends the right message to the right people at the right time. 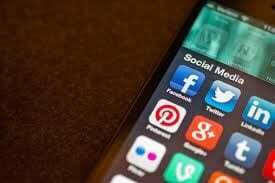 Whether engage in it or not: social media isn’t going anywhere any time soon. It’s a digital world out there, and with hyper-connectivity comes new technological ways to keep us socially linked. Yet, with new social networks continually being introduced, it can be daunting enough to keep up, let alone uncover where your business belongs in the expansive social world. OTC PR Group works in partnership with the leading Social Media Marketing professionals in the industry to develop custom social strategies to achieve the greatest return on investment. Whether you are just getting started or need better results from your campaign, our networks can help. From creating branded profiles, to developing messaging and rich creative content, to building and enhancing your following, through analytics and conversion optimization, we will deliver the tools you need for success. OTC PR Group combines public relations, investor relations and media relations into a powerful networking tool. We are an experienced firm with the financial knowledge as well as high familiarity and understanding of the investment community. Through our networks of dedicated and creative professionals, we provide a comprehensive Social Media Solutions strategy that benefits our clients and their investors. Join Our Free Newsletter for the Latest Investor Relation Marketing Tips!! !